It's finally the weekend! This week I received my new pair of glasses. When I was younger I was suppose to wear glasses but I never wore them because I hated the way I looked in them so I didn't wearing them. I went years without wearing glasses but this year my eye sight has gotten significantly worse (especially my night sight) so I decided to get my eyes examined. Fast forward this week and my new frames arrived. They are these black glasses with half of the bottom frames cleared out. I still hate the way I look with glasses on but I will put that aside because I do think that being able to see is more important then looks. 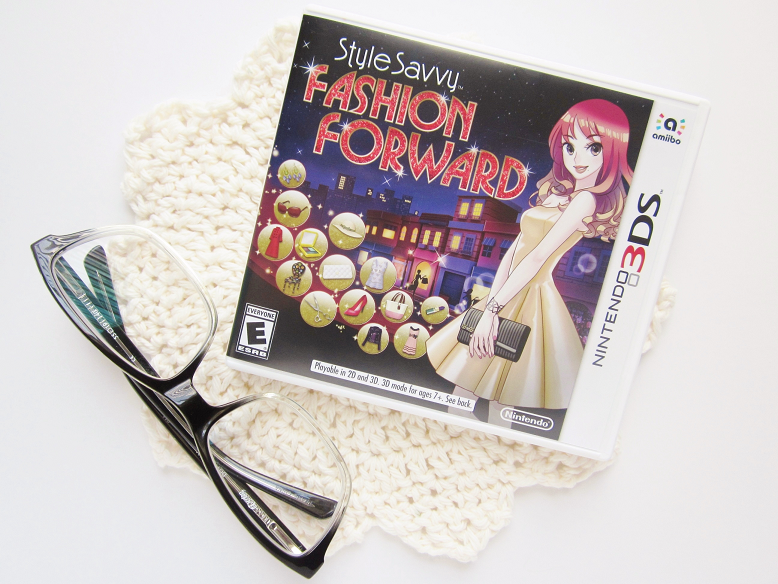 In other news, I've been obsessed with Style Savvy Fashion Forward nonstop since last weekend. I have been waiting for this game to release for forever and now I can't put it down! I am the type of gamer that wants to unlock everything as soon as possible, and if you've played the game you know that there is so many clothes, shops, furniture, hairstyles, color, makeup, etc to unlock so I will be spending a long time with this game. Review coming soon! How much are you loving fashion forward? There are a few surprises every month haha dont want to give too much away.